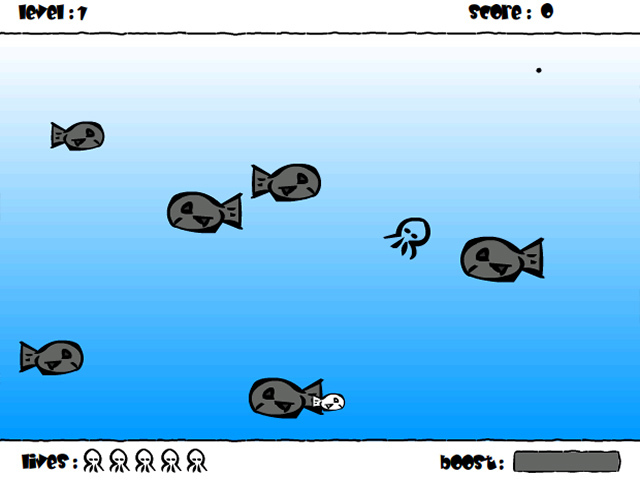 Gobble up little fishies and grow giant in this cute online game. Who would have thought the life of a squid could be so exciting?Gobble up the little fishies!Who wants to be the Big Squid? 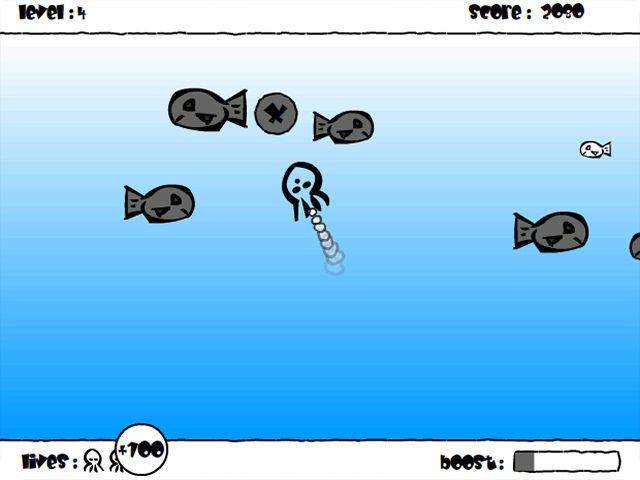 Dart through the blue ocean and gobble up little fishies to grow into a giant squid in this cute online arcade game. Use the mouse to control your squid. 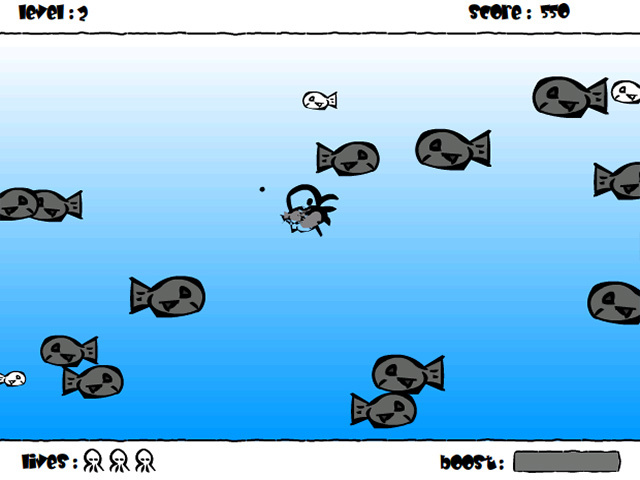 Avoid the big grey fish and the falling bombs. Left click your mouse for a speed boost. Answer squid trivia questions between levels to earn bonus points. 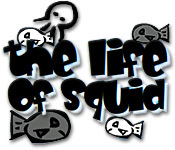 Who would have though the life of a squid could be so exciting?